Sometimes the simplest is the best. I threw together this easy black bean and rice plate a few days ago using leftovers already on hand, and it turns out I liked it better than any of the original meals. It was a reminder to keep things simple, but also, creamy black beans, well cooked rice, steamed cabbage, and a good sauce are probably one of the best combinations for a deliciously quick winter meal. One thing I do want to mention is that for optimal nutrient absorption, it is an incredibly good idea to soak your beans and grains prior to cooking. Whole grains, nuts, seeds, and legumes contain antioxidants called phytic acids (or phytates) which are the plants’ primary form of stored phosphorus. Phytates tends to bind minerals like zinc, magnesium, calcium, potassium and iron, making them more difficult for us to absorb. Soaking these foods for several hours prior to cooking initiates the sprouting process, which makes many of the minerals more digestible. There is some debate as to whether we should worry about phytates or bother taking the time to soak our whole grains and nuts, as many experts suggest we simply eat a balanced diet and we’ll get enough of these minerals anyway. However, based on my personal experience as well as many individuals I’ve worked with, those of us that tend to eat primarily vegan or plant-based meals comprised mostly of these phytate-rich plants also show routine need for the very minerals that are bound up by phytates. This is also one of the reasons why beans cooked from dried are a little more nutritious (not to mention having better flavor and texture) over their speed-cooked canned counterparts. To soak grains like rice, quinoa, and others, simply take the amount you’ll prepare, soak for a few hours, rinse, drain, and then cook as normal in 3/4 the amount of water. So for 1 cup brown rice, cook in 1 1/2 cups water for 40 minutes instead of 2 cups water. I find the texture is improved by this method as well. To make this delicious plate, I made my go-to pot of creamy black beans which makes enough for several meals, soaked and then cooked brown rice, purple cabbage cut into large chunks and steamed for about 10 minutes, and this delicious cilantro green sauce. Enjoy! Combine all the sauce ingredients in a blender or food processor, and blend until combined. Add water, 1 tablespoon at a time, to achieve desired consistency, if you find it a little too thick. Frølich, W. (n.d.) Phytate–a natural component in plant food. Whole Grains Council. Retrieved from: http://wholegrainscouncil.org/files/backup_migrate/PhytateProsCons_0910_DK-WGC.pdf. Sparvoli, F. and Cominelli, E. (2015). Seed biofortication and phytic acid reduction: A conflict of interest for the plant? Plants. 4 (4): 728-755. doi: 10.3390/plants4040728. Weil, A. (2010). Are phytates bad or good? Retrieved from: http://www.drweil.com/drw/u/QAA400758/Are-Phytates-Bad-or-Good.html. 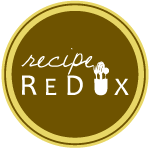 I’ve been a long-time participant in the monthly Recipe Redux challenge, a recipe challenge founded by registered dieticians and focused on making healthy, delicious meals. One of the things I love about the monthly themes is that it challenges me to keep trying new foods or techniques, and to be open-minded when sometimes I want to fall back on the same old thing. In fact, one thing I’ve noticed this winter is that William and I have regularly taken to relying on “oatmeal night” on weeknights when nothing else sounds good and we want a quick and easy comfort meal. We both love oatmeal, me even more than him, and I’d gladly eat it for several meals a day. But there’s one thing we all need more of in our meal routines, and that’s diversity, because the more different whole foods we eat, the better our gut and overall health tends to be. So I’m glad for the extra push to focus on diversity. This month, our theme also speaks to this idea, with the idea of adding in a new ingredient with the new year. Since I’m always trying to work on adding whole foods and encouraging others to do so, I focused on seasonally appropriate locally grown Jerusalem Artichokes, which are also known as sunchokes. Even though they’re not entirely new to me, Jerusalem artichokes are just about the only locally grown vegetable I don’t regularly add into my winter routine, for no particular reason. If they’re new to you, they are not artichokes, nor from Jerusalem, and they’re actually from the sunflower family. Many years ago when I was managing school gardens, we grew sunchokes, and the plant was a truly towering, sunflower-esque behemoth. In the late fall, we dug up the tubers, which are quite knobby and look like ginger roots. Texturally, they’re somewhat akin to a waxy potato and jicama, and the flavor is mild and just a touch nutty. I’ve had them before in soups, but thinly sliced and roasted is where their flavor and texture really shines! Now, beyond just tracking down a novel vegetable, Jerusalem artichokes have some unique nutritional aspects that make them worth eating more often. That’s because they are particularly rich in inulin, a type of fiber that assists the digestive system, particularly because it feeds the good bacteria in our lower gut. We can think of inulin as fertilizer for the digestive system! In addition to their digestive health benefits, sunchokes also host an impressive amount of iron, calcium, and potassium. For those of us ladies (or men) who are super active and always in need of good sources of iron and calcium, this is a great vegetable to add into the winter rotation! Here, I’ve sliced the tubers into thin chips and roasted them on low with a little water for 30 minutes, to help make them more digestible. Since they are so high in inulin compared to what most of us regularly ingest, it can initially cause some GI upset, and this method of slower-roasting helps. Then I upped the heat and added rosemary, sea salt, and balsamic vinegar to finish them out and get the right crisp-tender texture. Once they’re done, they are absolutely delicious. Preheat oven to 325 degrees F. On a baking sheet lined with parchment, spread out the sliced sunchokes and add the water. Bake for 30 minutes. Then turn up the heat to 425 degrees. Add the salt and pepper, minced rosemary, oil and balsamic. Toss to coat and then bake for another 15-20 minutes, until crispy but still soft. They’ll have some crispy golden edges but still slightly soft centers. Remove from the oven and cool slightly before serving.